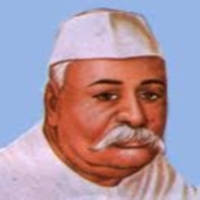 Ballabh Pant was born on 10 September 1887 in Shyahi Devi hills in Almora. His mother's name was Govindi. His father, Manorath Pant, was constantly on the road. Govind was brought up by his grandfather, Bandri Dutt Joshi, who played a significant part in molding his political views. In 1930, he was arrested and imprisoned for several weeks for organizing a Salt March inspired by Gandhi's earlier actions. In 1933, he was arrested and imprisoned for seven months for attending a session of the then-banned provincial Congress. In 1935, the ban was rescinded, and Pant joined the new Legislative Council. During the Second World War, Pant acted as the tiebreaker between Gandhi's faction, which advocated supporting the British Crown in their war effort, and Subash Chandra Bose's faction, which advocated taking advantage of the situation to expel the British Raj by any means necessary. In 1934, the Congress ended its boycott of the legislatures and put up candidates, and Pant was elected to the Central Legislative Assembly. His political skills won the admiration of the leaders of the Congress, and he became deputy leader of the Congress party in the Assembly. In 1940, Pant was arrested and imprisoned for helping organize the Satyagraha movement. In 1942 he was arrested again, this time for signing the Quit India resolution, and spent three years in Ahmednagar Fort along with other members of the Congress working committee until March 1945, at which point Jawaharlal Nehru pleaded successfully for Pant's release, on grounds of failing health. In 1937, provincial elections were held as a result of the Government of India Act 1935. The Indian National Congress secured a majority in the United Provinces, but did not immediately take office because of a dispute over the use of the Governor's special powers. Therefore, on April 1, 1937, the Nawab of Chhatari, the leader of NAPs (National Agriculturist Parties), was invited to form a minority government. Within a few months, the Congress accepted to form the government under Pant who was made the Chief Minister on July 17, 1937 and was in power till 1939 when all Congress ministries in India resigned. As Chief Minister, Pant won the confidence of the Indian Civil Service, and Sir Harry Haig, the governor of the United Provinces, wrote to the Viceroy that Pant was "an interesting and rather attractive personality... essentially a conciliator and not a dictator" However, in 1939 the Viceroy's declaration of war, without consultation, led to a clash with the Indian National Congress, and its Provincial ministers resigned. In 1945, the new British Labour government ordered new elections to the Provincial legislatures. The Congress won a majority in the 1946 elections in the United Provinces and Pant was again made the Chief Minister, continuing even after India's independence in 1947. Among his achievements in that position was the abolition of the zamindari system.